Now that the latest iPhones have finally embraced wireless charging technology, there's really no excuse not to have a charging pad in your home or office (or both). 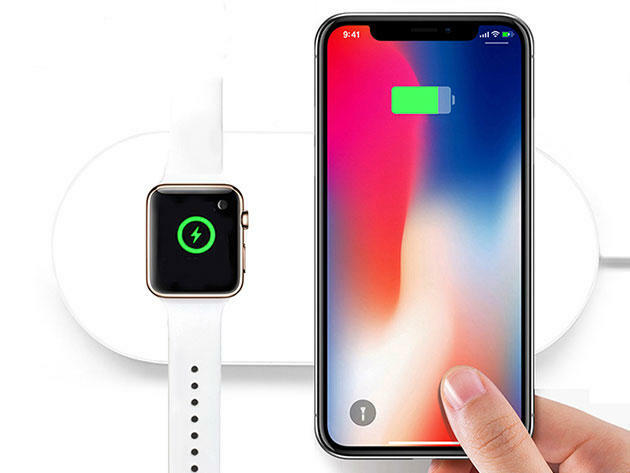 The iPM 2-in-1 Wireless Charging Pad lets you charge your iPhone and Apple Watch simultaneously in unparalleled style, and it's on sale for just $39.99. Featuring a sleek, minimalist design, this powerful charging pad is fully compatible with any Qi-enabled device, including Android phones. It charges your devices up to 20% faster than traditional chargers, and features exclusive multiProtect technology that provides temperate control, surge protection, and short-circuit prevention all at once. Eliminate some of that concentration-killing desk clutter and pick up an iPM 2-in-1 Wireless Charging Pad while it's on sale for 60% off its usual price—just $39.99 for a limited time.